Absolutely beautiful looking cigar, well made with solid body full of tobacco, the light brown wrapper has seem less veins and fair amount of oils. The pre light draw was “Perfect” and delivers hints of cocoa, wood and sweet tobacco. Initial puffs has a lot to tell, a kick of pepper and very sweet tobacco and cedar coming a full strength but that quickly fade and it mellow to straight medium body. An inch down it is a complex smoke, it is medium in body but full of flavors. The core is Cafe Cubano “strong sweet coffee” with a lot of cedar and just a touch of cocoa and floral. The strength still building up while going to the end of this third and the flavors getting bolder. Lot of sweet coffee and rich tobacco with some pepper. Here the smoke is medium to full and the flavors profile changed a little with the sweetness got caramelized and more pepper on the tongue and through the nose. By the half way point a blast of floral and get is, with bold coffee and cedar, more peppet and the smoke getting stronger. This third ends with little change while the pepper and the caramel mellowed and some earthiness join the profile. More earthiness kick off this third followed by strong shot of espresso, just a hint of sweet cedar. Still getting pepper zing, yet the the core is still coffee and wet wood. The smoke gets hotter by the end yet still complex. At the end did the LGC succeed making a thick cigar!!!! Hell Yeah. This is beautiful cigar in both looking and smoking Very complex and worth the try. In my opinion this is worth box buying and aging. The reason it didn’t score higher than Fifth Place in my top 5 cigars of the year is the size, since I’m more into the smaller cigars at this period of my Cigar Smoking Cycle. 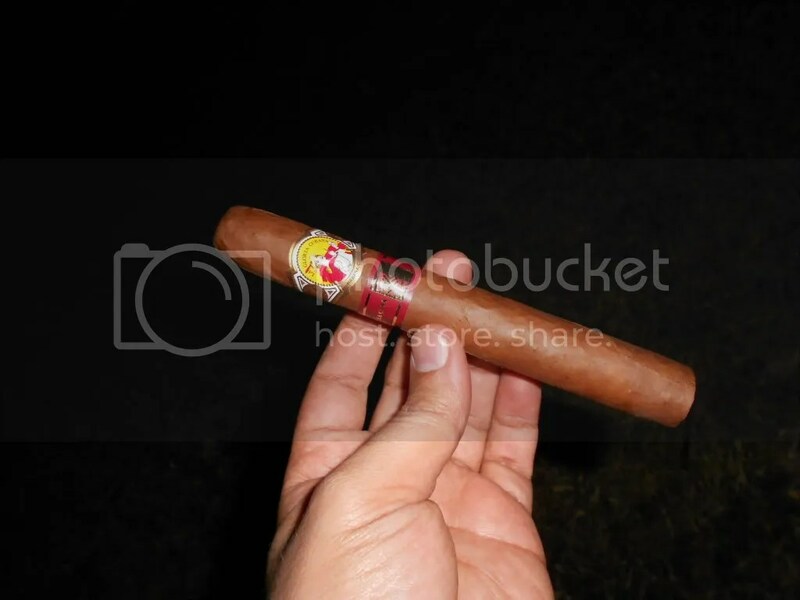 Please feel free to share your experience and opinion about this cigar and rate our work. Nice review, I have been thinking about giving these a try, I think I will now. I have enjoyed these when they were younger.. Tried them a couple of months ago but sadly they were bland.. Another thing that I find disappointing is the lack of LGC characteristics.. But since you think highly of them, I’ll give them another shot.